Excellent movie – really enjoyed it! Very entertaining and great fun throughout – no dull moments. Now if you don’t want any spoilers at all, even minor ones, stop reading now. (And I personally hate spoilers and thats one reason I don’t really watch trailers). The end sort of 25 minutes was a bit more standard superhero movie but was still good. 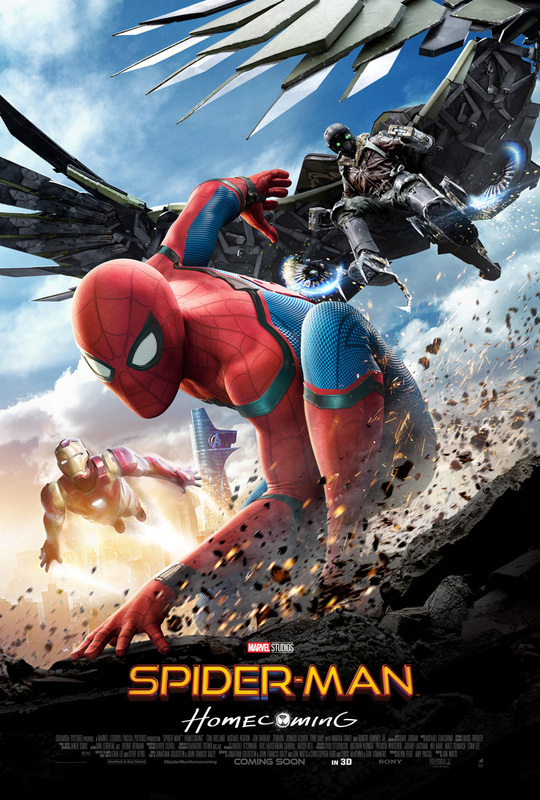 Before that, in a way, it was more a Peter Parker movie and not a Spider-man movie. And it certainly had a John Hughes feel. In fact at one point in the movie, Ferris Bueller’s Day Off is being shown on a TV and Peter comments on what a great movie it is. I am very happy they skipped all the origin stuff – spider bite (its alluded to though), death of Uncle Ben, making first Spider-man suit etc. We already had that with the Toby Maguire Spider-man and the Andrew Garfield Spider-man so we didn’t need it again. Now Spider-man: Homecoming is probably in my top 5 MCU (Marvel Cinematic Universe). Is Deadpool part of the MCU. Officially its not but I hear some people think it is??). Anyway…. Like I said its probably in my top 5 alongside Iron Man, Guardians of The Galaxy, Captain America: Civil War, Avengers. But if you included non-MCU Marvel movies then Deadpool is up there as well as Logan. And just missing the top of my list is Guardians of the Galaxy: Vol2. (And probably some others just forgot). Anyway, Spider-man: Homecoming is really good and highly recommend watching it. I think its a good cast. Michael Keaton is excellent. I wonder if he was cast in some small way (as well as being a good actor) but because he was “Birdman” in the movie Birdman – I have still not seen that movie. 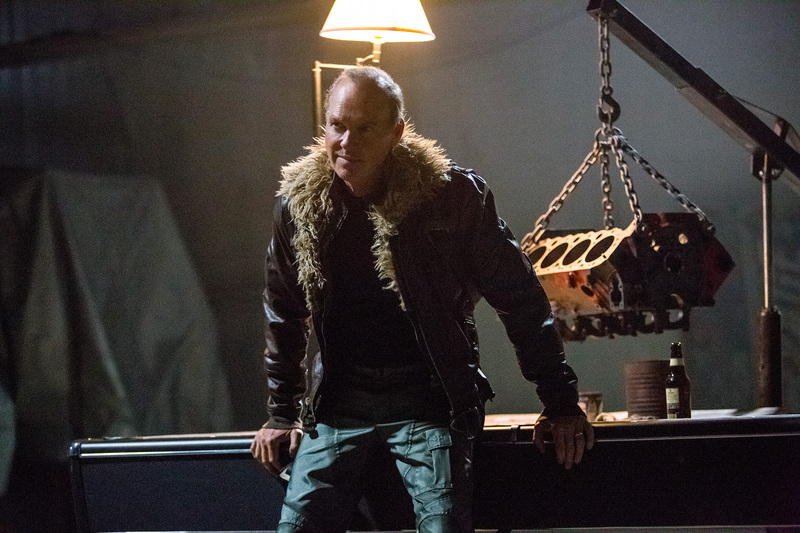 I think hes a good villian – which actually makes a change for Marvel movies as the bad guys are usually not that good. Last good one was Loki. 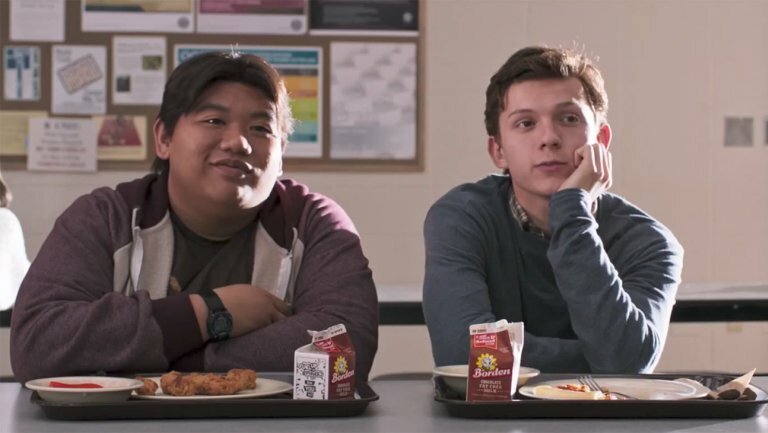 Also, good performance by Jacob Batalon who played Peter’s best friend. Its only his 2nd movie EVER. And of course the main man (boy) Tom Holland. I think hes an excellent Spider-man. Well cast. Its a Marvel movie so of course there is stuff after the credits. There are 2. One about 2 minutes into credits – the usual “teaser” type. Then one at the very end of credits (which are about 9 minutes). Must see!